Business Experience: Licensed since 2004 #ER40039926. I combine 20+ years of sales experience and a sincere interest in helping my clients achieve their goals. I am consistently ranked among the top 10% of REALTORS in our community. With my success rate, I have become a “Certified Residential Specialist”, of which less than 4% of REALTORS Nationwide hold this designation, and a “Certified Luxury Home Marketing Specialist”. I am also a “Certified Mountain Area Specialist” awarded to only those REALTORS who are experienced with selling property in the mountains and complete a rigorous education curriculum. Voted "2013 BEST REALTOR" by Mountain Connection readers. Voted to "2011 BEST OF.." Home Category by Mountain Connection readers. I am a member of the National, Colorado and Mountain Metro Associations of REALTORS, Council of Residential Specialists, Institute for Luxury Home Marketing, and the Evergreen Downtown Business Association. My website: www.CoMountainLiving.com has an innovative search tool and offers a wealth of information about the market and the local areas. I have been described as having a “Fighter Pilot” mentality when it comes to negotiating the best deal for my clients. It’s about aggressive creativity! 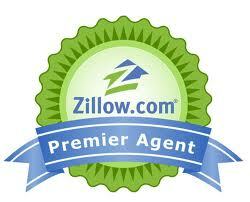 Based on my contributions and expertise, I have been awarded the Zillow All Star and Zillow Local Expert designations. My “Showing Desk” administrators can be contacted well after the bigger brokerages close for the day…..up to 8pm in fact. This gives my selling clients an advantage as those night time drive-bys can result in more buyers viewing their home. On a personal note: I moved to Evergreen, Colorado in 2003 after I spent my entire life in the San Francisco Bay Area. I have a wonderful daughter, Gianna and live in the Bear Mountain area. I am an avid tennis & softball player and currently captain our Evergreen Softball Team the "Dugout Daddies". Community Involvement: It’s important when you choose a REALTOR, you interview those that seek to give back to their community. My goal is to commit time and resources to a number of organizations and family activities. Having a downtown office and being a member of the Evergreen Downtown Business Association, I actively participate in annual events like the Halloween Walk, December Holiday Walk, and the Evergreen Rodeo Parade, Dam Ducky Derby along with many others. I was 2008/9 & 2018 EDBA President and original creator of www.DowntownEvergreen.com. I am also the creator of the only Downtown Evergreen Walking Map distributed by the local businesses, B&B’s, Denver Visitor Centers, Denver Airport and the Evergreen Chamber. It’s my way of helping visitors and residents know what’s available in the “Heart of Evergreen”.